We love our volunteers – Thanks so much! 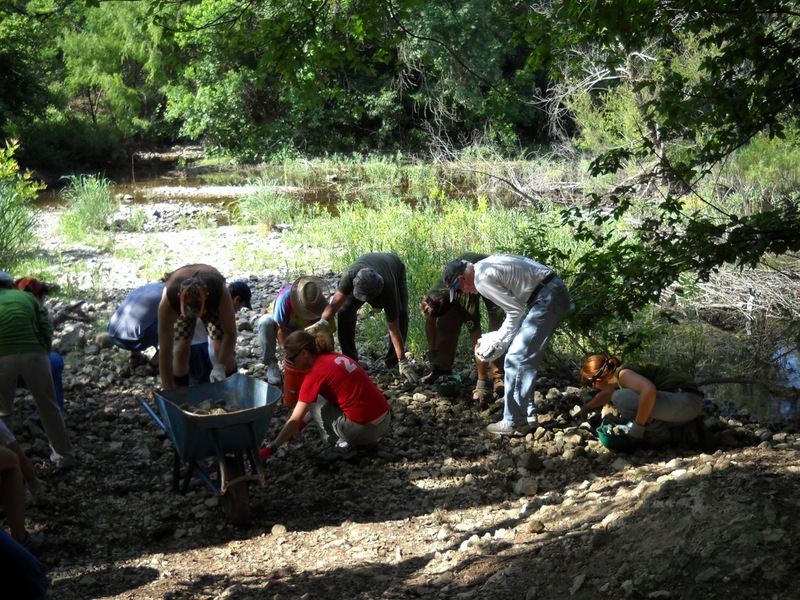 We had 300 people (maybe more, we’re still counting) working at our a dozen projects at Barton Creek Greenbelt – repairing erosion, building rock berms to channel water, rebuilding portions of trail, building steps and a lot more. Our tremendous thanks to our sponsors: The Austonian, REI, Texas Gas Service, the Salt Lick, Lone Star Beer and Whole Foods. 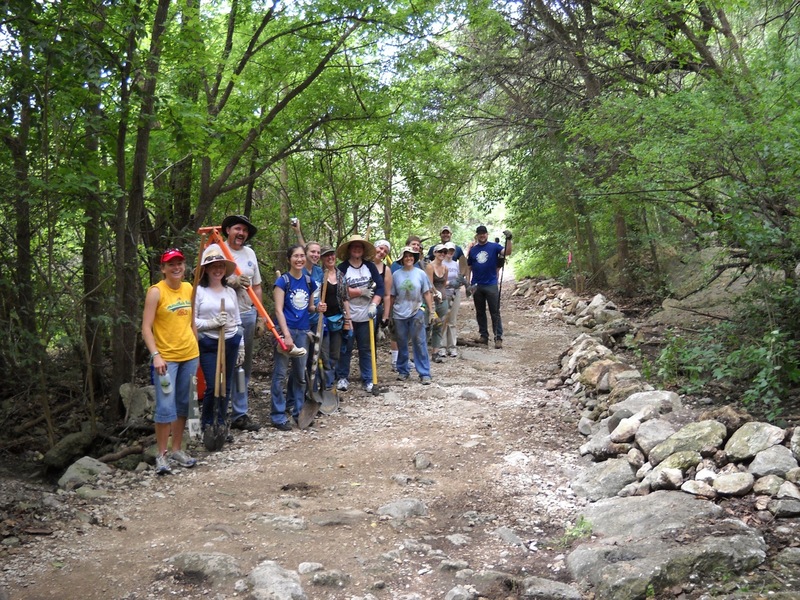 Our thanks to all of our partners who made this happen – The City of Austin Parks and Recreation Dept, Hill Country Conservancy, American Youthworks Environmental Corps, Greenbelt Guardians, Central Texas Trail Tamers, Central Texas Mountaineers and our many volunteers who made the day a great success. We got a lot done, but there’s a lot more to do.